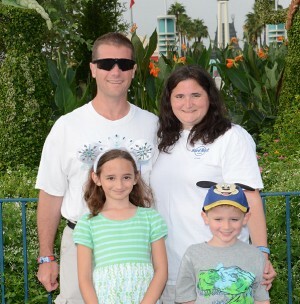 The Ronzio Family has taken advantage of extraordinary educational opportunities provided through the Virginia Virtual Academy for their children (Virginia is their LSR.). Military children often experience multiple relocations, with maintenance of educational consistency challenging. The value of virtual public schools is their no-cost opportunity, with learning tailored to each child’s style of learning, while also meeting and exceeding state standards for attendance and academics. This educational option is intriguing for military families, who can partake of consistent, flexible education, teachers passionate about their subjects, with close parental and community involvement. Military children are often global travelers, with a wider worldview than their peers, and Major Joe Ronzio and Mrs. Dalyah Ronzio discuss their experience; daughter Lizzie briefly joins the conversation. For more information about virtual public schools in your area, go to www.K12.com/GRADE and search by state. Education is a mission well worth exploring for your amazing military kids! Click http://bit.ly/MMTRRonzio to download the 30-minute show, or click below to listen live. Also available on iTunes podcasts, Google Play, and Stitcher. Air date, 09Aug2016.